There are several approaches to designing or specifying a sustainable house. The first thing to do is clarify some terms. Sustainable House: a house that uses energy and material effectively and efficiently during construction AND in operation, creating as little damage and pollution to natural systems as possible throughout it’s lifecycle. Energy Efficient House: a house consumes (and wastes) the minimum amount of energy possible (based on budgetary constraints, material/equipment availability, builder capability, owner passion) while maintaining comfort levels for the occupants. Net Zero Energy House: a NZE house produces as much renewable energy in a year as the purchased energy it consumes. Some states, provinces and cities have already put NZE target dates into legislation — for example, by 2020, all new houses in California must be NZE. 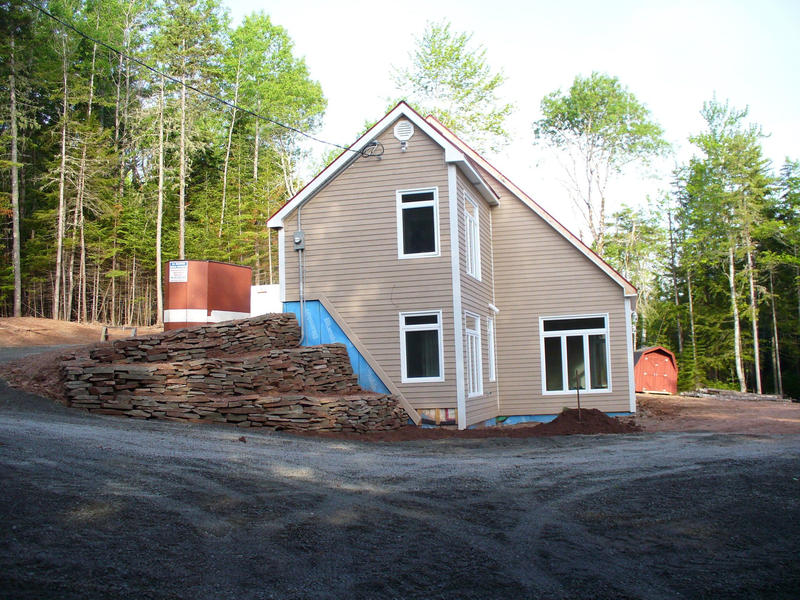 Zero Carbon House: A house that has zero net energy emissions. Carbon emissions generated by onsite or off site fossil fuel use are balanced by the amount of onsite renewable energy production. This is a more established concept in the UK than in North America. These definitions are general. Here’s how people put them to work in the real world. You can use them to judge how they match your definition of sustainability. All of these program have a good load of free information available to builders and homeowners. R-2000: This program is available only in Canada. Recently updated, the standard requires builders to have 3rd party verification of the thermal enclosure, the heating and cooling systems, whole-house ventilation and water conservation measures. An R-2000 house uses about 50% less energy for space and water heating than a code-compliant house. Energy Star for New Houses: To qualify under this program (in Canada and US) builders are required to have 3rd party verification of the thermal enclosure, the heating and cooling systems, water management and lighting and appliance loads. ENERGY STAR certified houses use 15 to 30 percent less energy than code-compliant new houses. Passive House: Is a performance-based program for energy efficient houses from Germany that has been modified for the range of North American climates. A Passive House can use up to 85% less energy for space heating and 45% less energy for cooling than a code-compliant house. The standard is based on comfort and performance criteria for space heating and cooling only. LEED for Homes: Leadership in Energy and Environmental Design (LEED) is a green building rating system that is available in both Canada and the US. Houses built under this standard must meet or exceed benchmarks for in eight areas: site selection, water efficiency, energy efficiency, materials selection, indoor environmental quality (also called indoor air quality), location and linkages, awareness and education, and innovation. Each category has a number of mandatory measures, and a minimum point amount is required for a house to be certified. The more points, the higher the certification: certified, silver, gold or platinum. Living Building Challenge: This program is focussed mainly on projects at the institutional/commercial scale, not single homes, although there are some certified homes in the program. It is likely the most rigorous formal program out there for quantifying and qualifying sustainability in the built environment. “The Challenge is comprised of seven performance categories called Petals: Place, Water, Energy, Health & Happiness, Materials, Equity and Beauty. Petals are subdivided into a total of twenty Imperatives, each of which focuses on a specific sphere of influence.” Projects are rated on the number of points they get in each performance category. Reduce the overall energy load of the building. This includes space conditioning (heating and cooling, mechanical ventilation, and dehumidification in some climates) domestic hot water and electric ‘baseloads’. Minimizing the energy inputs for the house has a ripple effect that keeps spreading as the years go on: reduced ongoing site environmental damage and pollution from fossil fuel consumption, reduced resource extraction, reduced peak capacity requirements and improved load balancing for utilities, more cost-effective infrastructure for cities and towns. Fundamentally, you cannot have a sustainable house if it does not address energy efficiency first and foremost. But that shouldn’t be where it ends. Sustainability is more than just energy efficiency –issues like water efficiency needs to be addressed, too. The cool thing is that you can mix and match the standards to make your dream sustainable house. How about a LEED-certified NZE House? 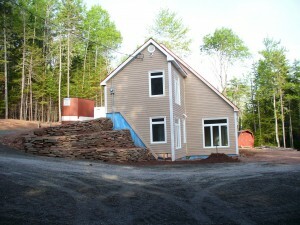 Or a Living Challenge-certified Passive House? Best of all sustainable options!